Sine the Captain Tsubasa episode 5 and 6 came out at the same time, I have decided to review them together, as I watched one after the other. I do not really know why they released them at the same time, but it was a nice watch. At the beginning of episode 5, we see a new kid. His name is Taro, and his father is a famous painter that moves around the country. Along with his father, Taro has to come as well. This makes making friends very hard for him. However, Taro is not sad about it. He just keeps pressing forward with his ball. I think that this kid will also join Nankatsu. Although I ain’t sure how he will do and for how long he will stick around. Episode 5 of Captain Tsubasa mainly consisted of building up towards episode 6. At the beginning of the episode, we see everyone dribbling to school, and how bad they are at it. Well, of course, nobody can be good at it from the beginning. But some of them were really bad that made me wonder why they are even playing. It seems not everyone is suited for sports. 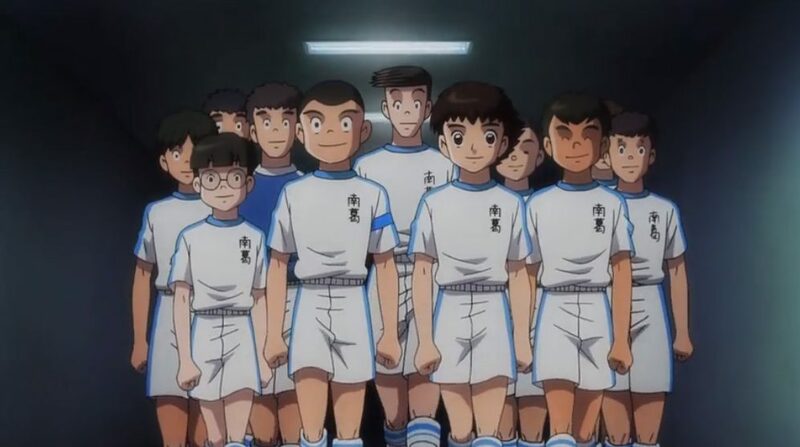 Tsubasa and the rest of the team scout out Shuutetsu’s practice match. We get to see all the players that they will be playing, and also how good they are. The players were portrayed very well and seemed to have a certain degree of skill to them. However, Wakabayashi was not present in the practice match. Of course, Wakabayashi is not a professional player yet. However, the amount of work he is doing, and the pressure he is putting onto himself might break him. 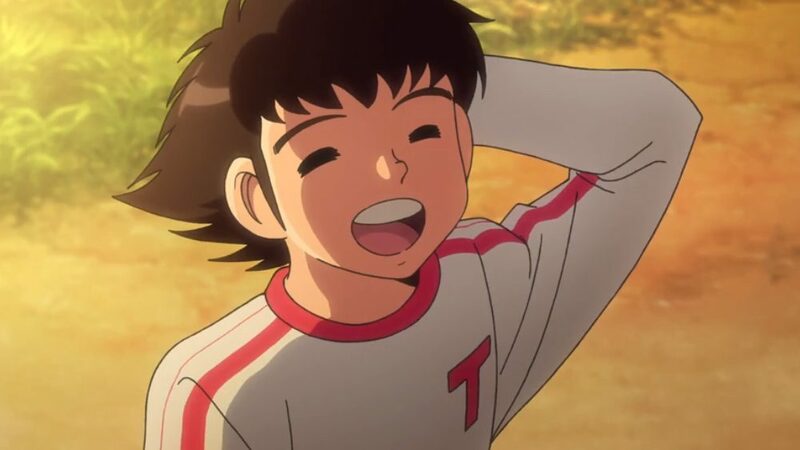 If you look at Tsubasa, you will see a boy that loves football. He is constantly training but with a smile on his heart. On the other hand, I could not see Wakabayashi smile at all when he was shown practicing. Although I do believe that his practice was not in vain. Near the end of the episode, we can see Wakabayashi improve a lot. He defended two shots at the same time from high schoolers. Although Wakabayashi is not the only one that has improved. We can clearly see the members of Nankatsu team improve a lot during the episode. After finishing watching one of the episodes from captain Tsubasa episode 5 and 6 I can say that I’m very excited for the other one. Captain Tsubasa episode 5 had a very good build-up for episode 6. But I am still very surprised as to why they released two episodes at once. Episode 5 had a nice pace, the episode had a lot of important elements for the growth of their team. We could see the whole Nankatsu club improve together, it was a very enjoyable episode. And would have been a great cliffhanger as well. With the inter-school tournament right around the corner, this episode would have had made a lot of hype. And as such it does not make sense to me why they released two at the same time. 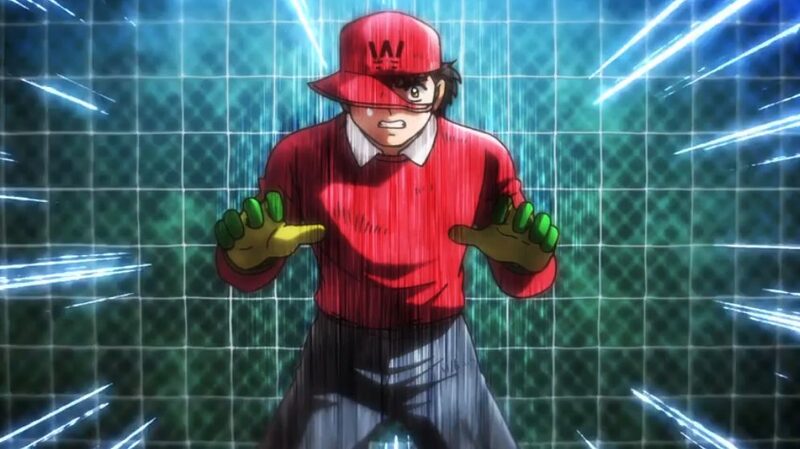 Wakabayashi was a bit late for the game, but he eventually came. He seemed very excited to face off Tsubasa. Perhaps Tsubasa is the reason he had been practicing so hard lately. I mean he has been even skipping school and regular classes. It seems like he is really focused on football alone and has no plan to do anything else with his life. When the match starts everyone is surprised to see Ishizaki as the forward instead of Tsubasa. Tsubasa is playing defense, and that really pissed of Wakabayashi. Although I do not know what strategy they are going with, they still managed to stop Shuutetsus flash attack so I think it was a very good start. To sum it up, both of the episodes were quite good. However I would have preferred to have watched them separately, and I will actually be quite sad if there is no episode next week and we have to wait for 2 more weeks. Captain Tsubasa episode 6 had enough comedy and excitement rivaled with action kick-off between Shuutetsu and Nankatsu. The animation has also gotten a bit better. As compared to the first few episodes, the attacks are actually shown much better. And the dribbling part was well animated. The anime really does seem promising and I can see it become very good and exciting quite soon. If you enjoyed watching Tsubasa you might like watching Megalo Box. Captain Tsubasa episode 5 and 6 were both very good, the episodes accompanied each other quite nicely. The build-up for the hype of the match was done well with episode 5. Episode 5 also had a lot of good character development and also progress for the team. Everyone was shown to have grown stronger over a period of days, and their dribbling improved. I was very excited to see that change in episode 6. But episode 6 was also building up towards the start of the match. And has left us with a cliffhanger wanting to see more. 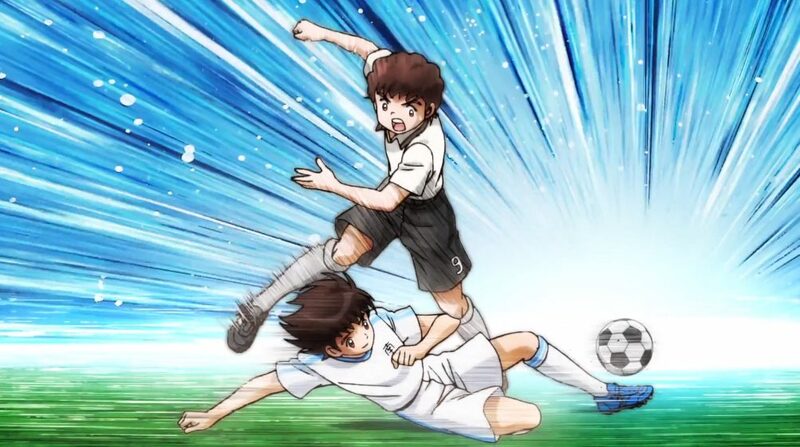 Both episodes were very good, and in the end, I was not sad to have seen Captain Tsubasa episode 5 and 6 together. My only concern is that there will be no episode next week. But for that, we will have to wait and see.